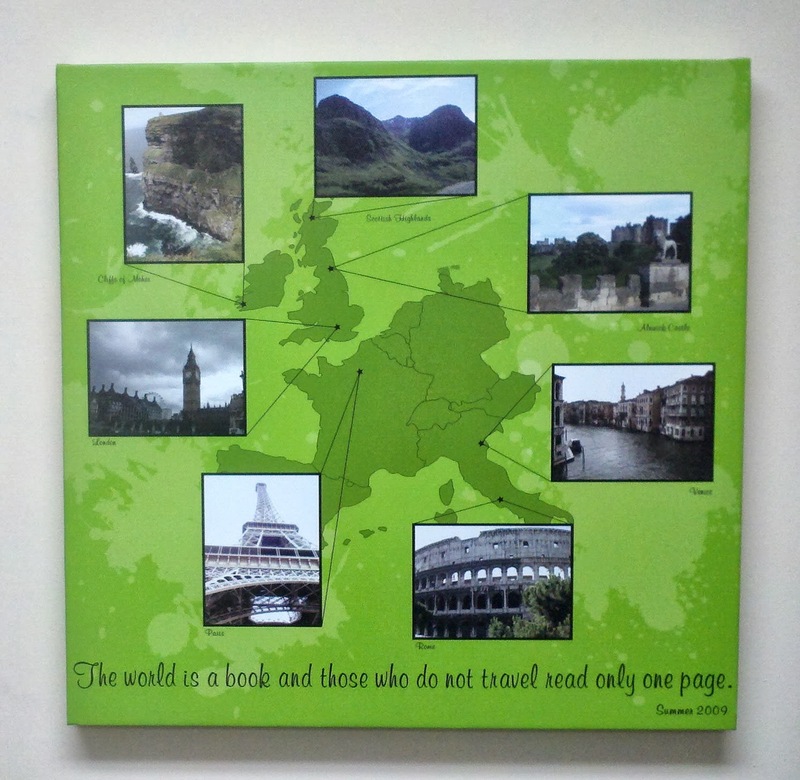 Create a Custom Canvas with your Vacation Photographs! When I was in college I had the opportunity to study abroad. I went to Chile for a two week business trip and to England for a marketing study abroad program. They were some of the greatest experiences of my life. I took more pictures than I knew what to do with... until I discovered canvas wall art! I traveled all over Europe and had lots of great pictures from Paris, London, Rome, Ireland, Scotland and England. I decided to put together a map of Europe with pictures from my trip. The quote says "The world is a book and those who do not travel read only a page." I have the canvas hanging in my living room and every time I look at it I smile thinking of all of the memories I had on my study abroad trip. Taking a vacation is a wonderful experience, whether you go to a beach location, a theme park, have a camping holiday.